Well done Sunny on enough figs to jam, how big is your tree & where is it? The tree is in the back garden and we keep it pruned to about 2'5m high and 3m wide at its bushiest each year. Drastic pruning of part of the tree at a time each year or it would be as big as the house ... about 30 years old! Hmm my brown turkey is in a planter but I struggle with watering it, really need to rig up a self watering system for it. Hi Sunny, i may sound thick ... but what is kosher salt that you used in your bean and carrot recipe and where do you buy it. Or can i use ordinary cooking salt. I had nearly talked myself out of the tomato jelly, then I found these at The Range for £2.49 each. 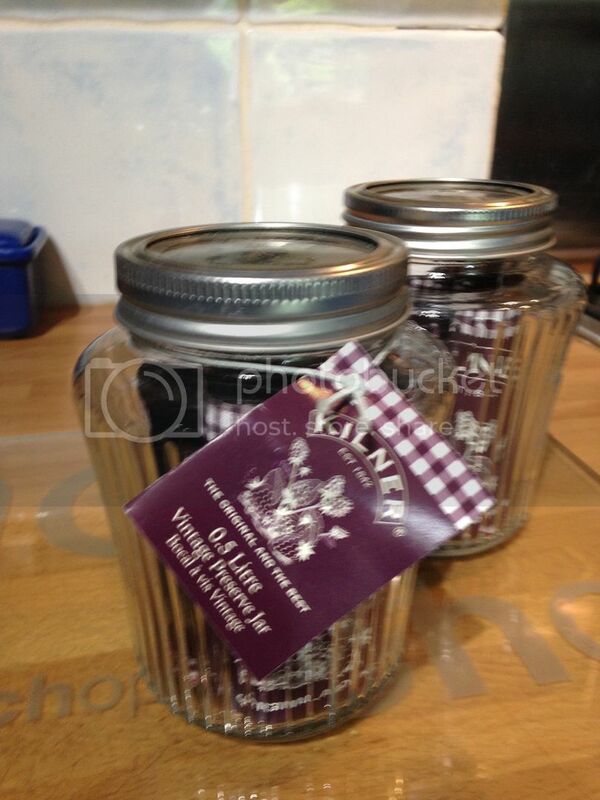 I know that isn't cheap for jars, but these are kilner with the proper band lids and look sooooo lovely. I now have plans for some lovely coloured jellies all lined up on a shelf, so started with a green tomato one. It was flavoured with fresh green chilli, plus bay leaves and herbs from the garden. I ran out of time, so it is a green juice in the fridge for now and tastes promisingly tart and savoury to make a good jelly. My plans are now for a red tomato one with basil, a purple one when the grapes ripen and a pink one when the quinces are ready. Next on the list is a red tomato and basil version. Ooo err very nice . 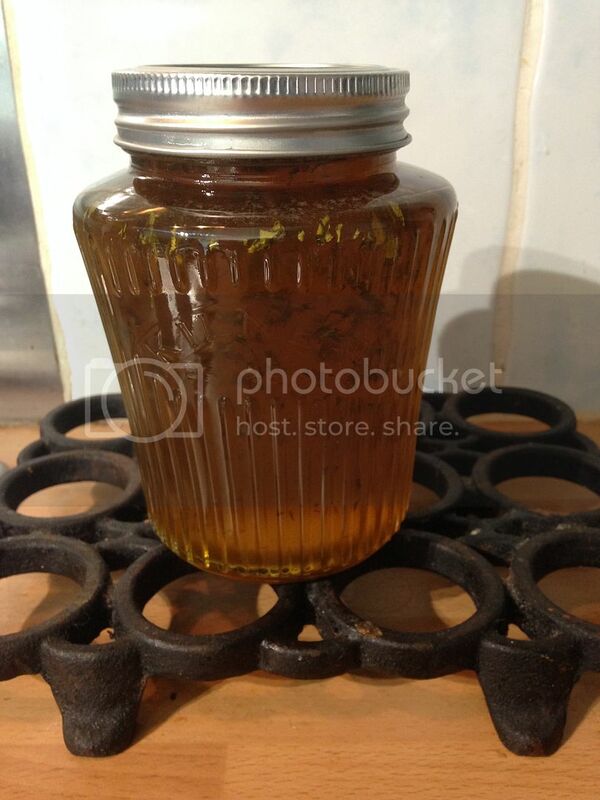 Lovely looking jar & jelly. Congratulations Snowy... always good to know other people like your creations! And New Shoot, the jelly plan sounds interesting. I am doing bramble jelly tomorrow ... nice dark purple one I hope! This is essentially true - 'Kosher salt' is a bit of a misnomer and is in fact 'Koshering salt' - i.e. salt that is used in the koshering process. The term 'kosher salt' appears in many of my older North American published cookery books, but has now found its way into mainstream UK publications too. Any pure rock salt, sea salt, or even PVD salt will work just fine. Indeed some brands of coarse salt for water softeners are listed as 'food grade' on the bag and this can be a very cheap source of salt. Thanks Swingswang... all news to me and worth knowing! Page created in 1.451 seconds with 49 queries.